Remember last month when I wrote a few blogs about a book sprint I was participating in. You can see those blogs here and here. Well, as promised, we actually have a book available that you can read with your own eyes now. 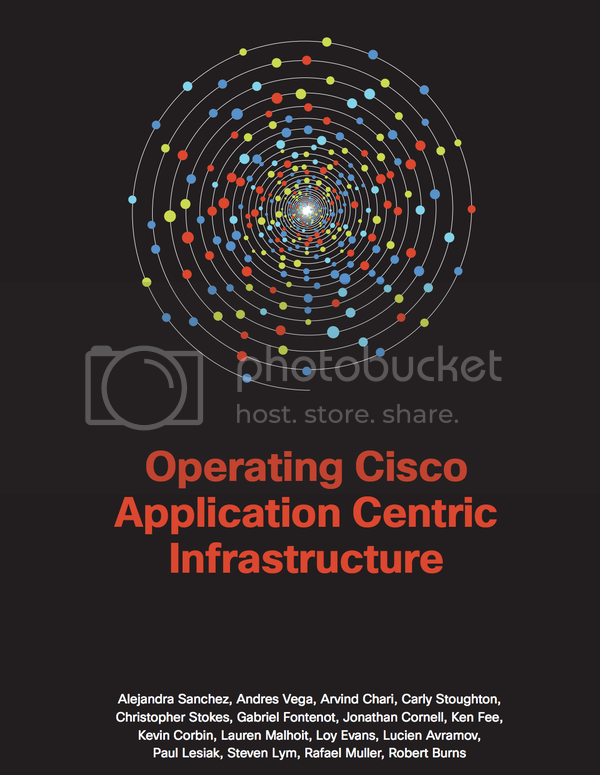 The Operating Cisco Application Centric Infrastructure e-book is now freely available to everyone at this link. This book has a little bit of everything. We start with some design and configuration, but mostly the book concentrates on what you do with ACI after you have it all set up. This will help administrators become more familiar with operating ACI and gives real world use cases for why you might do certain things. The book can be read from cover to cover, and we've even included a narative using the company ACME Inc. to make it more of an exciting read. It may also be used as a reference when you need quick answer to specific questions. A hard copy will be available soon, but right now the e-book is available to everyone and did I mention it's free? ?